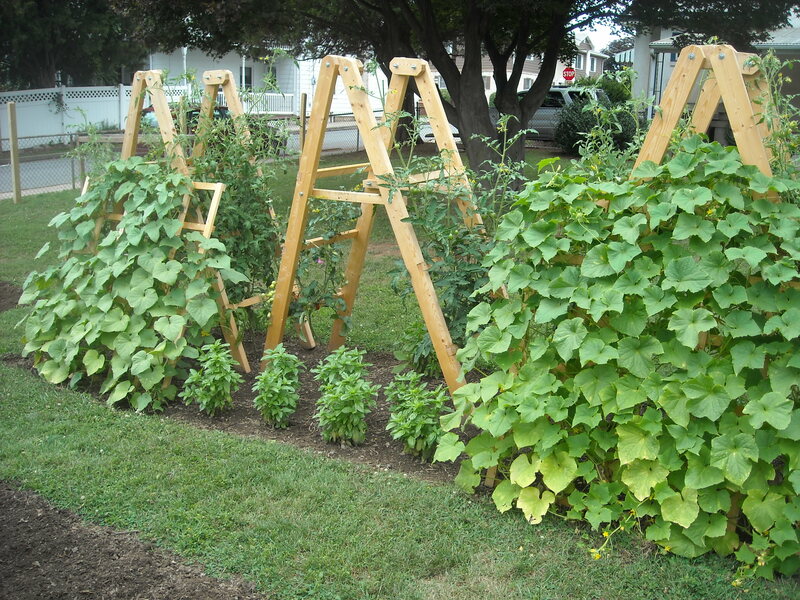 Pole beans with squash plants underneath. Despite our recent heat wave in the northeast, our garden is doing great. I thought I would share what we have been harvesting each month, so you can better understand what we can get from a small garden. With all the rain we had in the Northeast, the garden is doing really well this season. We have already harvested asparagus, lettuce, cilantro, spinach, kale and arugula this season. Despite the unusually cold weather we had in April here in the Northeast, we are finally starting to see things come to life in the garden. 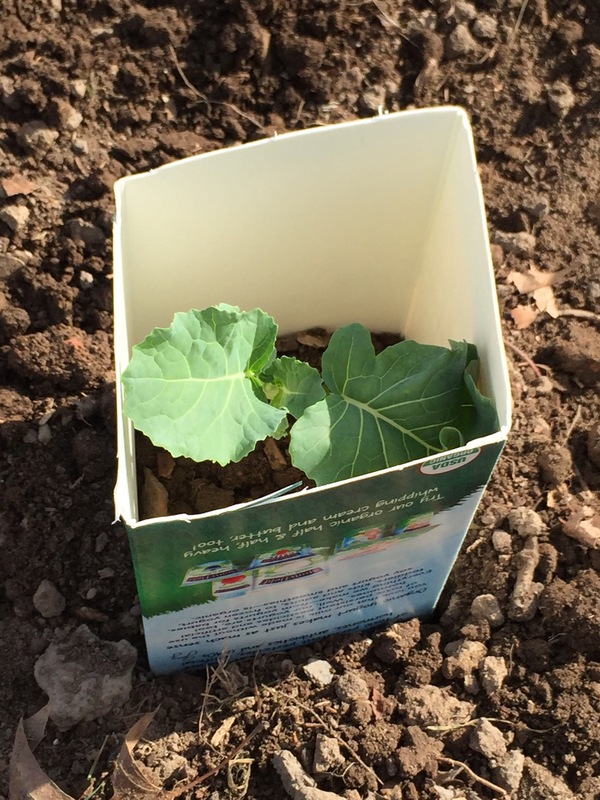 The broccoli plants are looking good and the sugar snap peas are starting to grow. Even the asparagus is trying to push through the soil. They are calling for warmer weather this week, so things should really start to take off. I decided to try a new method this year for preparing my garden beds called double-digging. The double-digging method requires removing the top 12 inches of soil so that you can loosen the soil below. According to the experts, there are several reasons for taking the time to do this; better drainage, aeration of the soil, and it helps facilitate root penetration. There are three key tools required for this method; a garden spade, round point shovel, and a spading fork. I started this process out using a garden spade to edge the garden bed. I drove the spade deep down into the soil re-establishing a new edge around the perimeter of the bed. 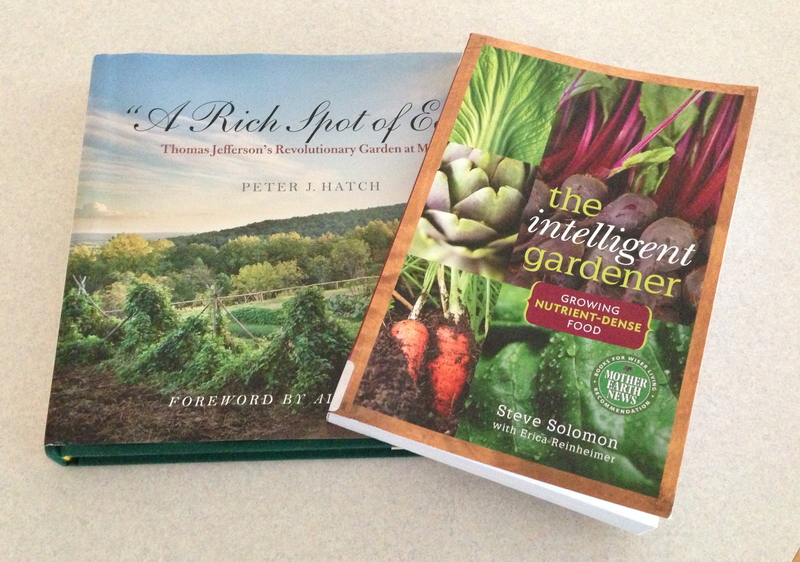 Here are two great gardening books to read this summer, while you are on vacation or just relaxing at home. The first book is “A Rich Spot of Earth” Thomas Jefferson’s Revolutionary Garden at Monticello by Peter J. Hatch. If you are interested in gardening history or heirloom vegetables this is the perfect book for you. 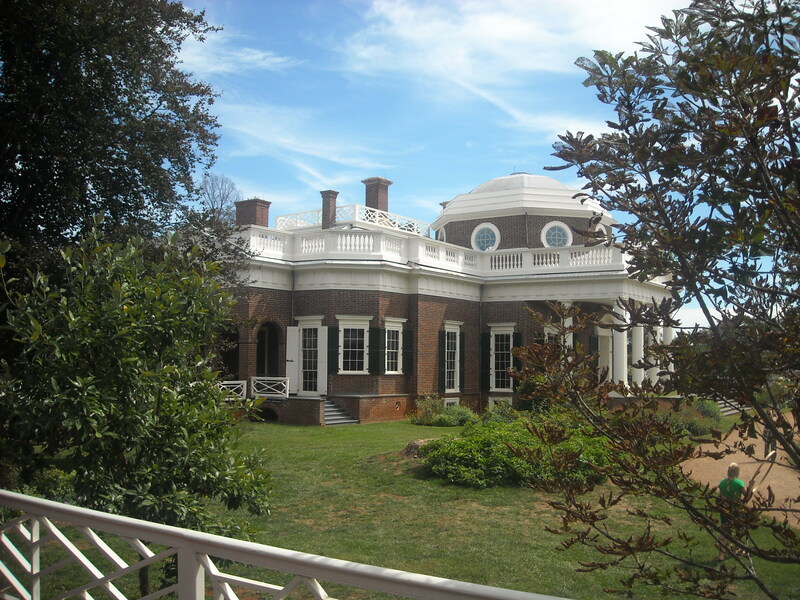 The author Peter Hatch has been the director of the Gardens and the Grounds at Monticello since 1977. He gives a great first hand account of how the Gardens at Monticello have been restored over the years and how they came to look the way they do today. I can use one word to describe our garden right now “Growing”. Over the last few weeks we have been really busy planting a wide variety of vegetables for our summer garden and even harvesting a few things from our spring garden. 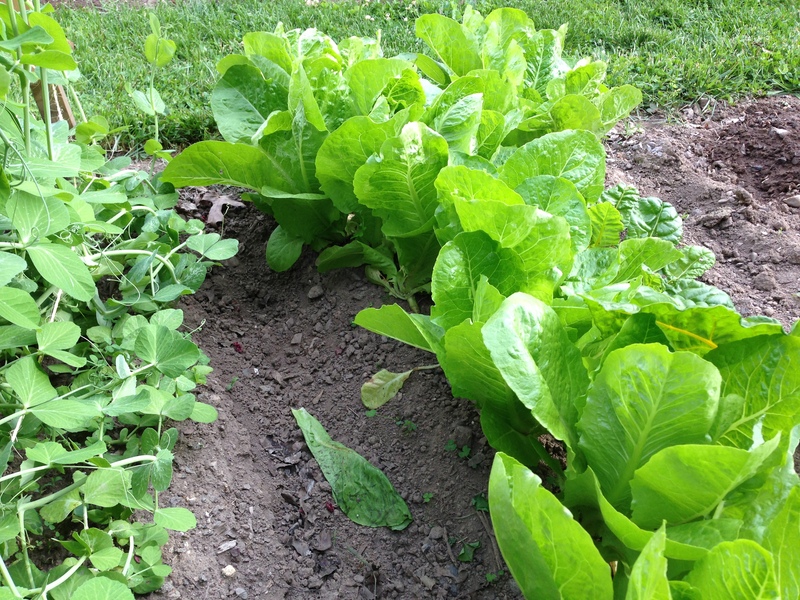 Last spring I had a really hard time growing lettuce, but that is not the case this year. Over the last few weeks we have been enjoying a wide selection of lettuces. 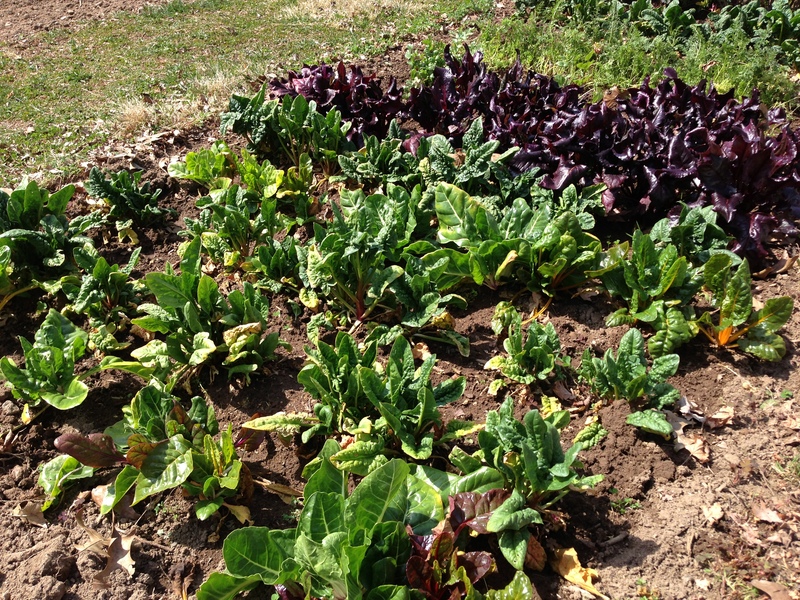 We have been enjoying some great homegrown salads.